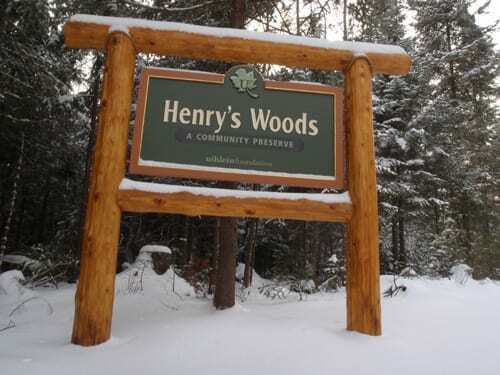 The entrance to Henry’s Woods off Bear Cub Road near Lake Placid. 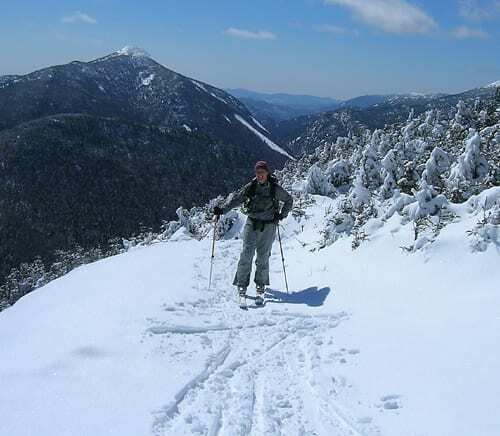 We finally have enough snow to ski on some of the early-season trails, such as the road to Camp Santanoni in Newcomb, the Marcy Dam Truck Trail in the High Peaks Wilderness, the Fish Pond Truck Trail in the St. Regis Canoe Area, and the Hayes Brook Truck Trail in the Debar Mountain Wild Forest. 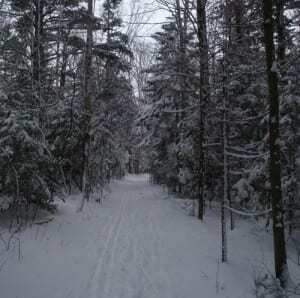 Fresh snow adorns evergreens along the trail. Yesterday afternoon, I took a short ski on a new trail outside Lake Placid—a 2.5-mile round trip/loop through Henry’s Woods, a preserve owned by the Uihlein Foundation. The trail is graded and most of it is covered with crushed stone, so it’s skiable with about six inches of snow. Conditions were great (fluffy powder), and the woods were beautiful. From the parking lot, you ski (slightly uphill) to a junction at 0.3 miles, the start of the 1.9-mile loop that climbs and descends a ridge. Ski the loop clockwise; otherwise, you’ll face a steep downhill with some sharp turns. Even going clockwise, you’ll encounter a sharp left just as you begin the descent, so be prepared. After that turn, it gets a lot easier. 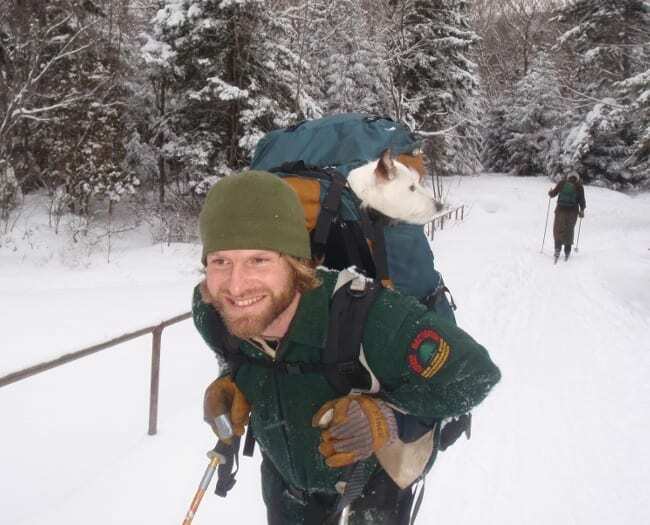 We’ll run a more detailed story in the next issue of the Adirondack Explorer. Meantime, if you want to get to Henry’s Woods, turn onto Bear Cub Road from Old Military Road, which runs between Route 73 and Route 86 south of the village of Lake Placid. 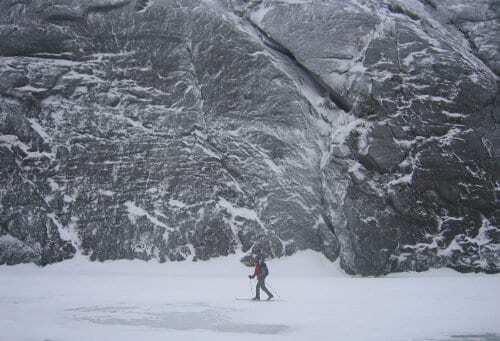 To check on cross-country-ski conditions in the area, visit Tony Goodwin’s online report. Incidentally, Tony designed the Henry’s Woods trail.